12-year-old Michael Sylvester, a student of Alpha Junior School copped the top spot in the 2017 Caribbean Primary Exit Assessment (CPEA). 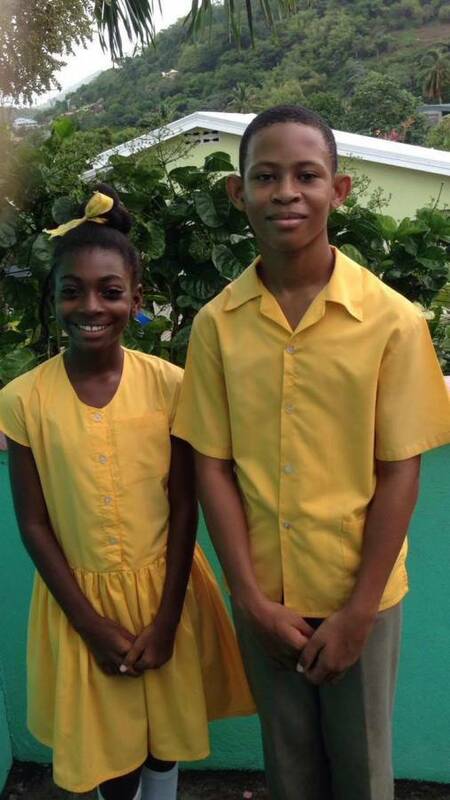 His classmate, 12-year-old Amara Sade Francis, tied with Zane La Rose and Keaton Thomas of the St George’s Anglican Senior School for 2nd place. Alpha’s Grade 6 Class Teacher, Cassandra Smith, said the students made the school proud and they are extremely happy with the results. According to her, both Sylvester and Smith surpassed their own expectations and secured passes to the schools of their choice. Smith stated that the students “set their goals and worked diligently towards achieving them.” Alpha continues to maintain an extremely high pass rate, and this year is no exception. Their 22 students were all able to pass for their first choice.